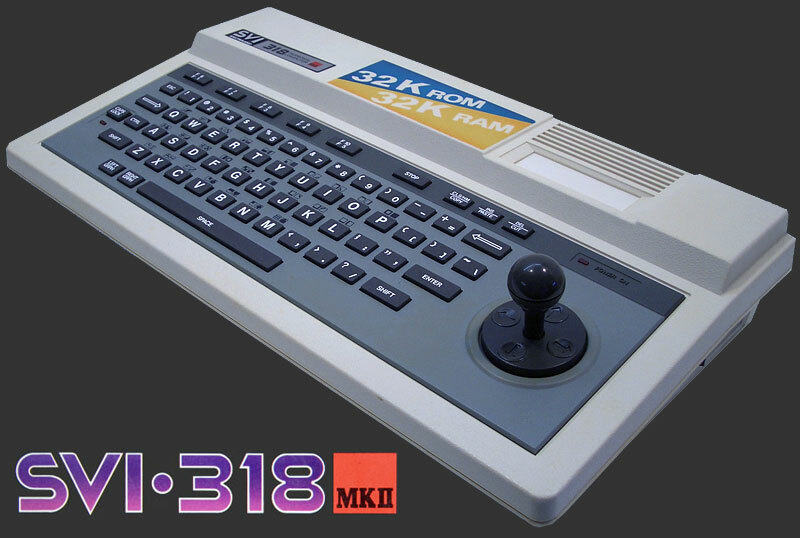 A revised version of the SV-318, launched in 1984. Some color changes on the outside, and a brand new motherboard inside. SCREEN 0: Text mode 40x24 characters, two colors (background+foregrund). 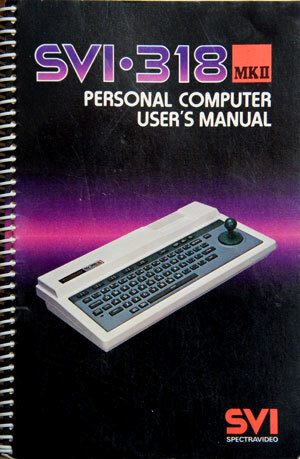 Fonts are formed using a 6x8 pixel matrix. Sprites are not available in this mode. SCREEN 1: High resolution graphics mode: 256x192, 16 colors. Sprites are available. Colour resolution is 8x1 pixels: that is, for every group of 8x1 pixels, only one foreground/background color pair may be displayed. This is a standard TMS-9918A limitation. Text is also supported in SCREEN1, allowing up to 43x24 characters (with two pixels chopped off the 43rd character). SCREEN 2: Low resolution graphics mode: 64x48, 16 colors. Sprites are available. 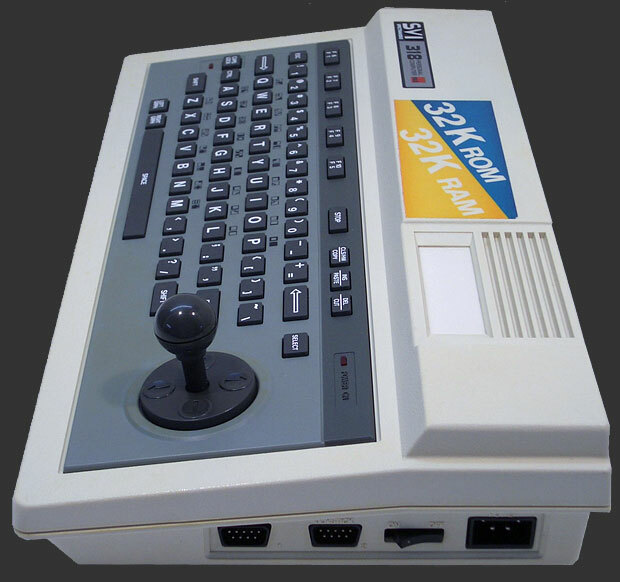 The screen is addressed and formed using full 256x192 resolution, with 4x4 block graphics (each 8x8 pixel matrix holds four low resolution pixels). Sprites are displayed at high resolution (256x192). 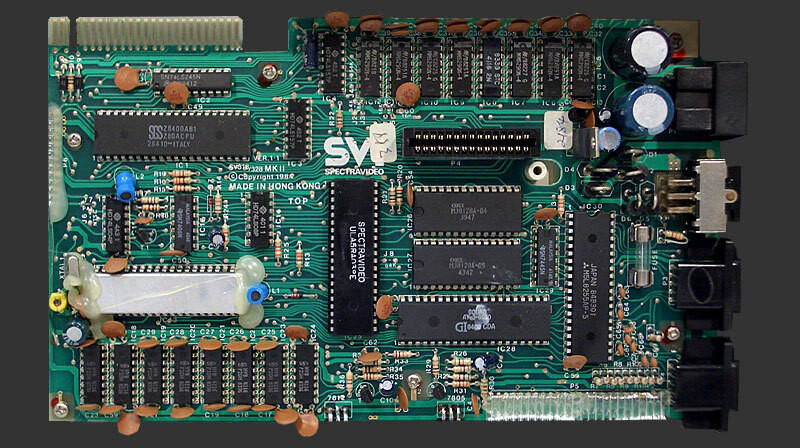 SVI-318MKII motherboard. 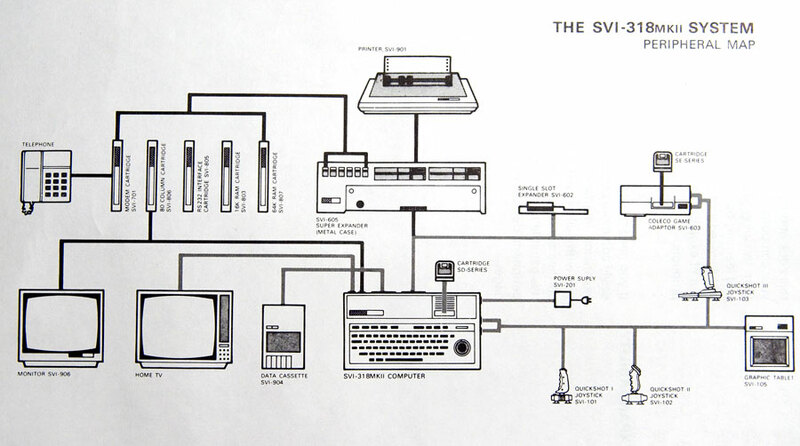 A much more streamlinded design compared to the original SV-318. Most of the TTL chips is replaced by a ULA chip.